Researchers from the Indian Institute of Technology (IIT) Hyderabad have developed a smartphone-based sensor to detect adulteration in milk. They have developed a detector system which can measure the level of acidity in milk using an indicator paper. They have also developed algorithms that can be incorporated in smartphone to accurately detect change in acidity. The sensor-chip based method measures pH, which is an indicator of the acidity and colour of paper indicates different pH levels. In this adulteration detection system, researchers have used a process called 'electrospinning' to produce paper-like material made of nanosized fibres of nylon, loaded with combination of three dyes. The paper is halochromic i.e. it changes color in response to changes in acidity. Researchers developed prototype smart phone-based algorithm in which colours of sensor strips after dipping in milk are captured using camera of phone and data is transformed into pH (acidity) ranges. They have used three machine-learning algorithms and compared their detection efficiencies in classifying colour of indicator strips. On testing this system with milk spiked with various combinations of contaminants, it found near-perfect classification with an accuracy of 99.71%. According to a recent report by Animal Welfare Board (statutory advisory body under Ministry of Environment, Forest and Climate Change) shows that 68.7% of milk and milk by-products in the country are adulterated with products such as detergent, glucose, urea, caustic soda, white paint and oil. Chemicals such as formalin, boric acid, hydrogen peroxide and antibiotics are also added to milk to increase shelf life. 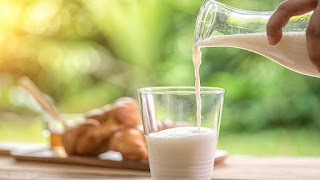 Regular consumption of adulterated milk can cause heart diseases (such as high or low blood pressure, cardiac arrhythmia, premature ventricular contraction etc), kidney diseases, poor eyesight, loss of memory, cancer, skin diseases, eye diseases, gastrointestinal diseases such as ulcers. Q. Researchers from which educational institution have developed a smartphone-based sensor to detect adulteration in milk?